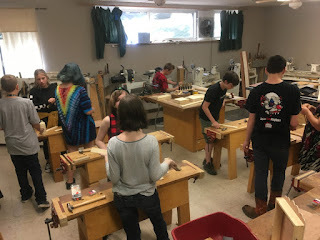 This last week we started woodworking again at the Clear Spring School, grades 1-12 and we have had some growth in the student body over the summer. 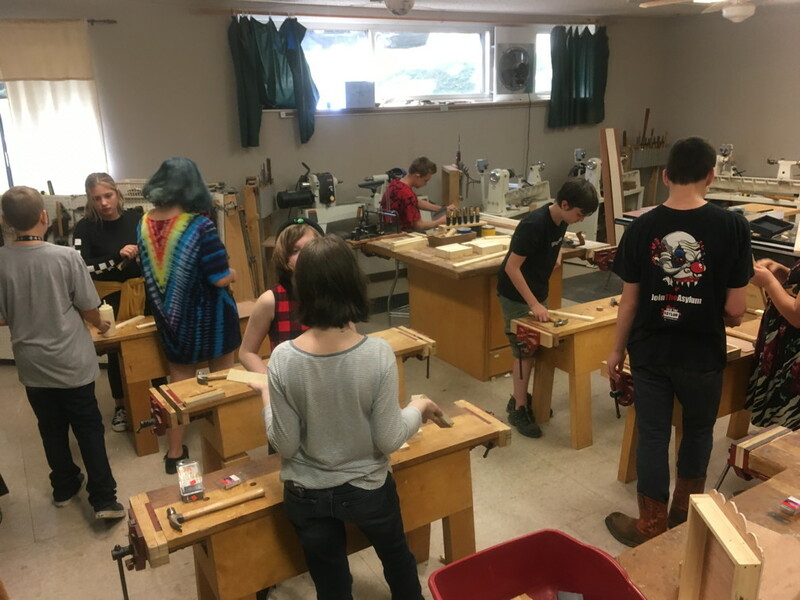 That means we have larger classes in wood shop, and new students to introduce to the tools and rules of safe woodworking. I have new names to learn. Later in the year we will begin working with the Kindergarten students as well. New students come to us through new parents and we've welcomed a number of new families who moved to Eureka Springs to take part in the Clear Spring School. We welcome them, one and all with the hopes that we live up to their expectations. Some of my new students have told me that even after just one day, wood shop is their favorite class. The point is that it's real. They use real tools to do real things. Make, fix, create, and adjust American education so that others are allowed to learn likewise. What a nice thing to be told as a teacher, that this is someone's favourite class! When children are motivated it is so much easier for them to learn.